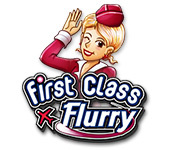 First Class Flurry is rated 4.3 out of 5 by 21. Rated 5 out of 5 by amylmenke from Good game I've enjoyed this game many times. Fast-paced play. You serve customers on a plane, come items take a few seconds, some are instant. You can get bonuses for doing the same action in a row. I recommend it. Rated 5 out of 5 by tbirdclass from Fun game I love this game. Fast paced and it gets a little challenging but it's a lot of fun and addicting. Rated 5 out of 5 by itsgigi from Love this! 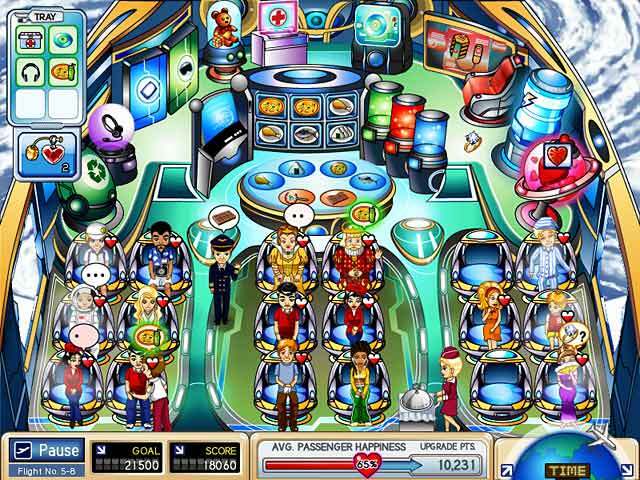 This game holds your attention by building up to more and more difficult levels. Wish there was a sequel! Rated 5 out of 5 by iloveshoujomanga from Busy mouse clicking! 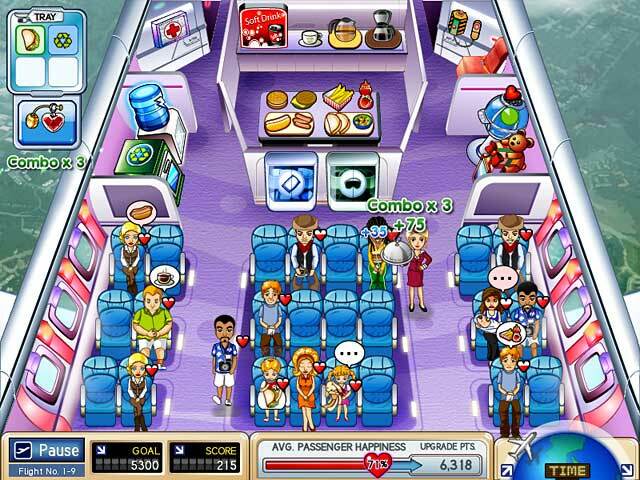 If you are a fan of Dinner Dash, you will love this game. Gets pretty challenging too. Love the cute graphics! Rated 5 out of 5 by Nebraska1 from Really nice That was really nice !!!! fast loading, great story, variety of passenger, great challenge I LOVE IT !! Rated 5 out of 5 by GrumpyX from even better than Diner Dash Brilliant game for just dipping into every now and then when you have a spare 10 minutes. If you liked any of the 'Flo' games or Chloe's Dream Resort you will love this. Expert status is quite difficult to achieve. Rated 5 out of 5 by AJLlewellyn from Love it! I am crazy about this game. I think it's so much fun! I love the wedding dash and diner dash games...this is very similar BUT I love the dialogue, the different voices the characters use to thank you...very cool! 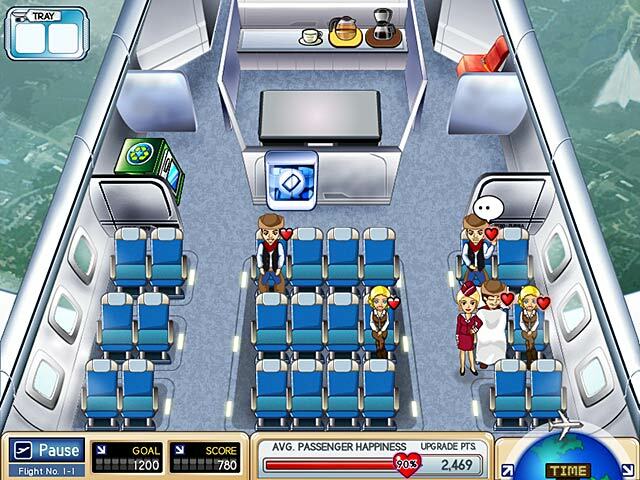 Claire is destined to become a top-working flight attendant with her Time Management skills in this friendly destination game.